Olfactive Studio Flashback, a salty vetiver and rhubarb blend, is one of those rare fragrances that not only smell good but feel poignant. 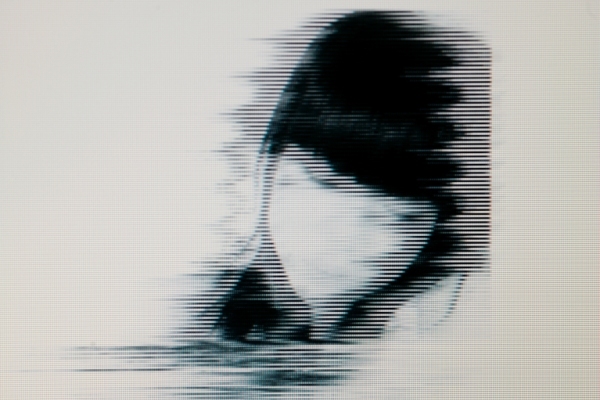 Olfactive Studio’s concept marries fragrances with visuals, and in the image that accompanies Flashback, a frame from a video shot by Laurent Segretier of his long-distance girlfriend, you see very few details–the delicate tilt of a girl’s head and a thick fringe framing the face. This photograph was the brief to perfumer Olivier Cresp, who tapped into his childhood memories to create Flashback. For my part, when I smell Flashback, I’m reminded of collecting shells along the beach and helping my grandmother make rhubarb jelly. While childhood memories are often saccharine, there is nothing cloying or precious about Flashback. When I was collecting notes for my article about salty perfumes, it quickly turned out to be one of the best recent examples of salty vetivers. 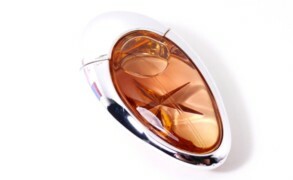 It’s also polished and elegant, suited for both men and women. Vetiver root oil has a natural salty facet, and the perfumer’s sleight of hand enhances the illusion of salt crystals which you can almost taste as you smell Flashback. The idea was to capture the scent of rhubarb pie, Cresp’s childhood memory, in a perfume bottle, and the perfumer achieved this by combining the tart, crunchy rhubarb with vetiver and buttery apples. To believe it all smells salty and gauzy, you probably need to try Flashback for yourself, but the crunch of salt flakes is unmistakable straight from the top notes. The milky hazelnut and wet pencil shavings–the first clue that vetiver is at the core of Flashback–is the first impression, and then you notice the sweet orange and rhubarb. The rhubarb is acidic enough to push the perfume further into the salty and sour direction, and when you finally notice the apple, it continues to tone down the sweetness. A hint of pepper gives Flashback a sparkle and savory aftertaste. The suave drydown of amber and vetiver lingers for hours. Flashback is earthy and cool in its late stage, but thanks to the creamy, fluffy layers of musk, it feels cozy. It has excellent tenacity, but it’s not a loud, dramatic perfume. If you enjoyed fragrances like The Different Company’s Sel de Vétiver, Lalique’s Encre Noire, or Hermès Vétiver Tonka, it’s a worthy contender. 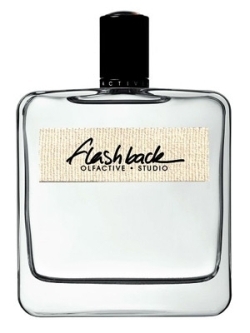 Also, Flashback reminds me of Aedes de Venustas Eau de Parfum, another rhubarb spiked vetiver, but Olfactive Studio’s take is softer, gentler and easier to wear. Olfactive Studio Flashback includes notes of rhubarb, grapefruit, orange, pink pepper, Granny Smith apple, vetiver, cedar, amber, and musk. 50ml/$145, 100ml/$195. Available at Luckyscent, Olfactive Studio, Aedes de Venustas, Bergdorf Goodman. Top image by Laurent Segretier. Victoria: I was confused by it, to tell you the truth, until I read the explanation behind the image–that the girl was the photographer’s long distance girlfriend and they communicated via the video calls. rainboweyes: I love rhubarb crumble (with marzipan crumbles and vanilla sauce, yum! ), I love Olfactive Studio’s Lumiere Blanche (I’m wearing it now, actually) and I love Aedes de Venustas a lot …but somehow I don’t get Flashback :(. Victoria: Marzipan crumble with rhubarb sounds so delicious. I usually make mine with rolled oats and flaked almonds or walnuts, but adding marzipan would be even more interesting. I’ll have to try it. Victoria: Not really! Rhubarb is very tart, and the apple is a crisp, green kind. Victoria: Oh well, money saved, I say! Victoria: 🙂 I definitely can relate to this. I seem to have an insatiable appetite for vetiver and iris. I really love the cool, earthy, rooty scents. Victoria: I also heard complaints from others that Lumiere Blanche doesn’t last on them. It might be the musks, since it has plenty of them and everyone differs in their sensitivity to these notes. Emma M: Thank you Victoria, for this review. Vetiver is a note I definitely need to explore further; I always conjure it in my mind as being monochromatically smoky and bittersweet but I’m starting to understand that that it has many more nuances and interpretations. Victoria: Hope that you get a chance to try them.